My thanks to Philip Chan for sending me a couple of photographs of two Scania K310UBs that have just entered service for Kowloon Motor Bus and these have just been added to the section of the site. 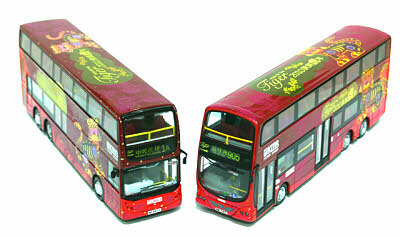 New pages have also been added to the section for the Citybus and New World First Bus 'Year of the Tiger' buses. 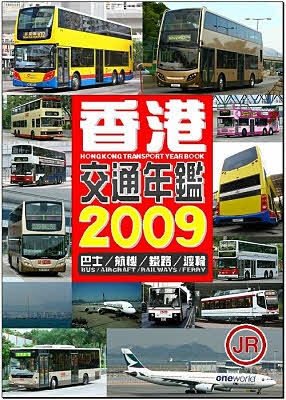 The 'Hong Kong Transport YearBook 2009', published by the 'JR Team' is due to be published in April. Priced at HKD$200, it is B5 size with a hard cover and around 180 pages. 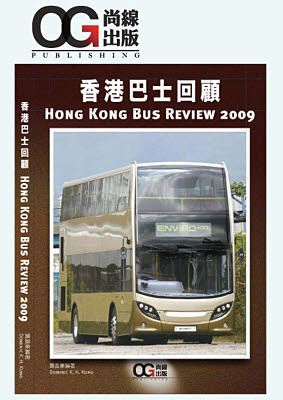 Topics include Hong Kong buses, aircraft, railways & ferries and articles include New World First Bus new 11 metre Enviro500, new Kowloon Motor Bus Scania K230UB single-deckers, open top series, Cathay Pacific's 10th Anniversary One World, the first Airbus A380 to Hong Kong, etc ... Further details will be added when known. 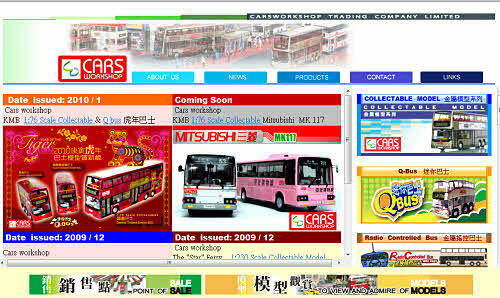 Set for release in Hong Kong tomorrow (30th) are the two Kowloon Motor Bus Mitsubishi Fusos from Cars Workshop, 92701 and 92702. Further photographs have just been added to the relevant pages. The book contains almost 200 pages and I hope to be able to provide a review in due course. 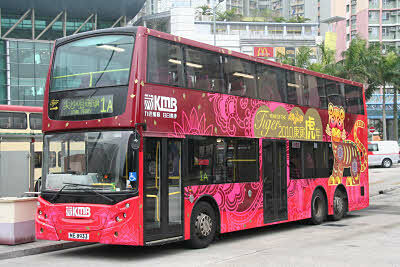 Announced today on the 312 Model website are these two resin 12 metre Kowloon Motor Bus Dennis Dragons, 3N174 (DK 5416) on route 88P to Hin Keng and 3N190 (DK 8500) on route 38 to Kwai Shing (East). Further details will be added when known. I have just received details of another new book and these will be published shortly. 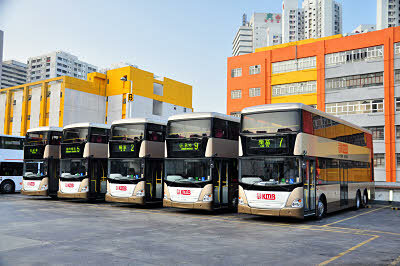 My special thanks to both Alex Cheng and Jonathan Liu for sending me, so promptly after my appeal, the above photographs of the New World First Bus and Citybus 'Year of the Tiger' decorated buses. 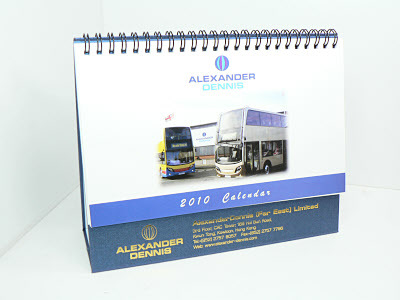 New pages will shortly be added to the section of the site for each of these buses. I am grateful to Skills Holidays for sending me the following press release together with the above photograph of former China Light & Power Olympian No. 308, now registered BIG 8385. 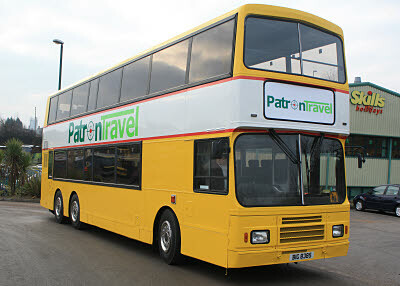 "Nottingham based Skills Holidays has acquired the business and principal contracts of Patron Travel of Newark. No jobs will be lost and Skills’ fleet will be increased with the acquisition of the largest coach in the Midlands. The 102 seat double decker, complete with seat belts and coach style seating, will primarily be used for contract customers including schools. Already nicknamed ‘Hong Kong Fuey’, the coach began its working life in the former crown colony before being repatriated in 2000. Its layout, safety features and, above all, size make it ideal for the daily school run to Nottingham from the eastern parts of the county. The routes will continue to operate as Patron Travel. No details of the consideration are being released. " Alexander Dennis Enviro500s nos. 5501 and 8106 from the New World First Bus and Citybus fleets respectively have today appeared in service carrying 'Year of the Tiger' decals. It is believed models of each will be released shortly. Photographs of the actual buses would be most welcome. I am able to confirm that the above book is set to be published during February and I hope to be able to provide further details shortly. 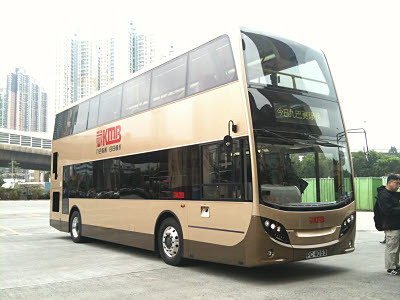 As reported yesterday, Kowloon Motor Bus have now registered their Enviro400 and allocated it the fleet no. ATSE1. My special thanks to Leo Kong for not only supplying the above photograph, but several more which have now been added to the section of the site. 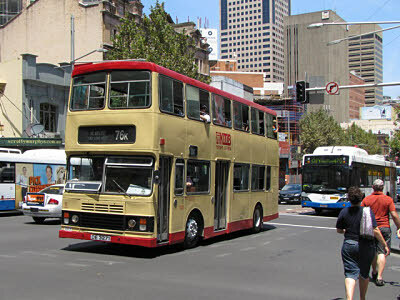 Australia Day (26th January) saw former KMB Leyland Olympian BL66 take part in Motorfest 2010 in Sydney, Australia. Thanks to Barry Wong for sending me the above photograph and information. ... and finally, thanks to Billy Chengcy who just managed to capture KMB Scania K310UD ASU12 (PC 4032) whilst on route no. 66X. Also added to the section of the site tonight are photographs of several of the ASU class just prior to entering service. ... and finally (again! ), believed to have been launched recently, and well worth a look, is the Cars Workshop website - just click on the image. My thanks to Master Pebble for sending me a selection of photographs of the new Kowloon Motor Bus Scania K310UDs just prior to entering service. Further photos will be added to the section of the site tomorrow. 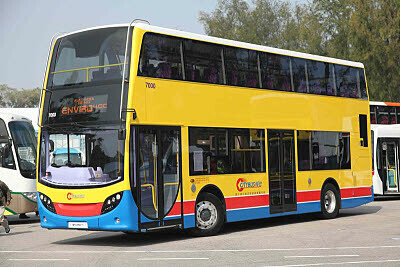 KMB's new Alexander Dennis Enviro400 has been registered PC 4053 and allocated the fleet number ATSE1. 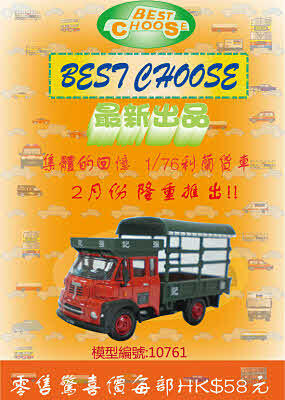 Released today in Hong Kong is the above Best Choose Leyland FG lorry (10761), which carries registration number AK 1668. 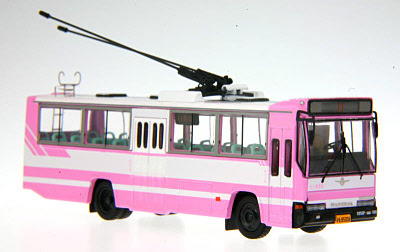 Set for release in Hong Kong next week are the two Kowloon Motor Bus Mitsubishi Fuso MK117J from Cars Workshop. The standard white liveried version (92701) features AM155 (FN 8469) on route 53 to Yuen Long (East) whilst the pink liveried 'Nathan Shopper' (92702) features AM158 (FP 4790) and is on route 203 to Yau Yat Tsuen. Each version is limited to 1,250 pieces. 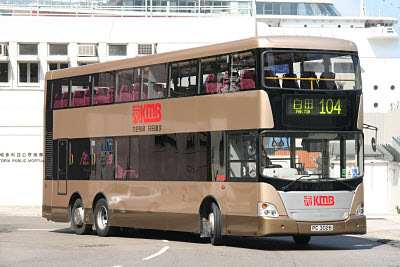 I am reliably informed that several new Kowloon Motor Bus Scania K310UDs double deck buses have now entered service. 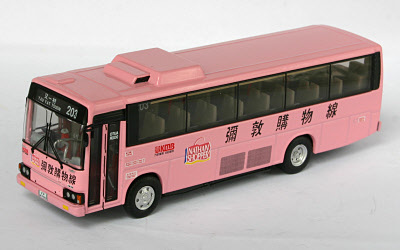 Released today in Hong Kong is this Shanghai SK6105HPI single-deck bus from 52BUS (52001-red). 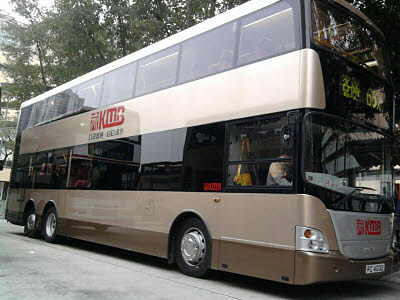 Operating for Shanghai 2rd Bus Co. it features fleet number 6105HPI-082 (registration no. A 67526) on route 49. It is limited to 1,000 pieces. A new page and further photographs will be added shortly. I have received confirmation that SBS Transit issued a model of one its Scania K230UBs EEV [Euro V] single deck bus in November last year, and although the majority were retained by the Company, a small number were on general sale. If anyone can provide any further information on this model, please e-mail me. 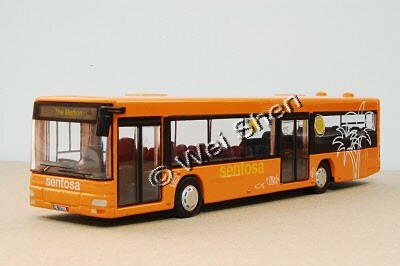 Sentosa Leisure Group has released another bus model, this time modeled on RU 3720L. It is believed that the model was issued sometime in 2009. This new model is exactly the same as their previous release, the only difference being the registration (was RU 3722G). The box also contains a similar description but is packaged in white instead of orange. With the release of this new model, it is believed that the previous model on RU 3722G is no longer available. My special thanks to Alan Wong, Alex Cheng and Network Shuttle for kindly sending me a superb selection of photographs taken at today's Rally organised by the Hong Kong Transport Society. These have just been added to the section of site. 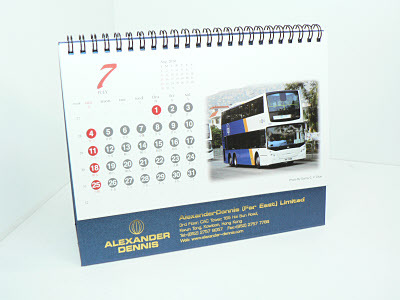 My thanks Network Shuttle for kindly sending me an Alexander Dennis (Far East) calendar, as shown above. 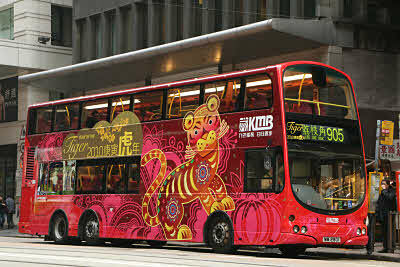 The two Kowloon Motor Bus 'Year of the Tiger' models are set for release in Hong Kong tomorrow. Further photographs have now been added to the respective pages (DW10506) and (39409). Please note that the quantity of the Enviro500 is 2,000 pieces and not 3,000 as previously reported. Both models will retails for HK$298 each. 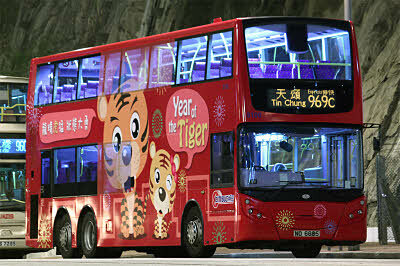 Two 'Year of the Tiger' 'cute' buses are also set for release tomorrow. 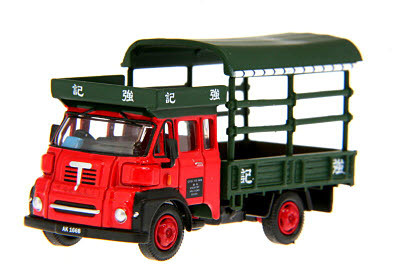 Best Choose are set to release another version of the Leyland 'FG' lorry towards the end of January. Like the first release it features a red cab and green back, although the canopy has been revised and it carries 'Keung Kee' signwriting. 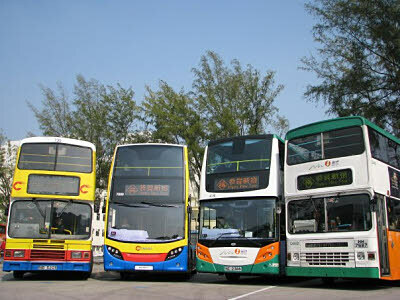 Now available in Hong Kong is the third and final version of the Shanghai SK5105GP trolleybus (52002C) from a 52Bus. It carries the pink livery of the Shanghai 3rd Tram Co. and features registration no. B5006 on route 11. It is limited to 1,000 pieces. As reported below, the second Star Ferry release, Day Star (23002), is now available. It is limited to 2,000 pieces and retails for HK$328. 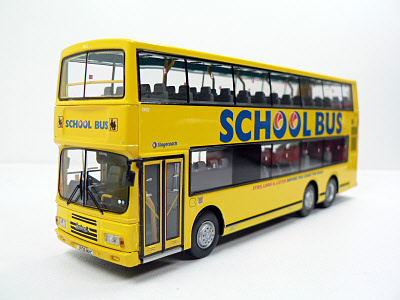 Two yellow buses from Creative Master Northcord were added to my collection today. The first is ex-Citybus Leyland Olympian 173 now in Stagecoach Western's School Bus livery (hkbus2011). Further photographs will be added as soon as time allows. The second, and not an 'oriental', is the former Alexander Dennis Enviro400 demonstrator now operating for Yellow Buses of Bournemouth, and featuring a destination of Poole, my home town! 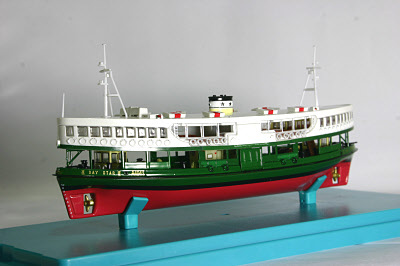 Star Ferry has just released their second model featuring 'Day Star' (23002) which is now available at 80M's outlets. My thanks to Dennis Law for providing this information. 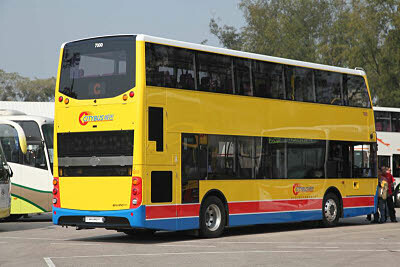 Both the New World First Bus and Citybus 'Year of the Tiger' models will feature Alexander Dennis Enviro500s. The NWFB example will feature route 601 whilst the Citybus example is on route 962. 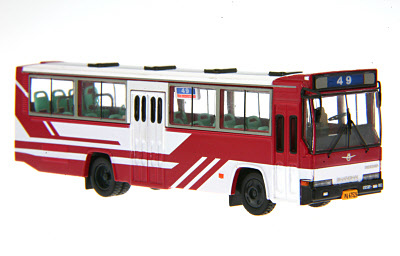 A new page has tonight been added for the 1/64th scale Beijing Jinghua BK670 articulated bus featured below - just follow this link. My thanks to Dennis Law and Philip Chan for sending me photographs of two further Kowloon Motor Bus vehicles now carrying 'Year of the Tiger' decals. It is rumoured that the above two vehicles will be the subject of models from KMB. Further and higher resolution photographs have now been added to the section of the site. Further 'real' bus news is that several of KMB's Volvo B7RLE with MCV bodywork have been noted in storage. 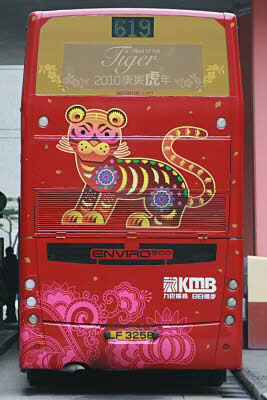 A second Kowloon Motor Bus Enviro500 has been decorated with the 'Year of the Tiger' livery. ATE236 carries a slightly darker shade of pink, especially on the upper part. Photographs would, of course, be most welcome! 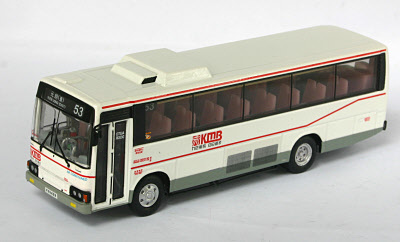 My thanks to Donald MacRae for sending me a selection of photos of the above 1/64th scale Beijing Jinghua BK670 articulated bus. A separate decal sheet gives the owner a choice of fleet numbers and route numbers. A new page and further photographs will be added as soon as time permits! Any further information on the model, which is believed to have been issued in June last last, would be most welcome. I have just received Issue 61 of Bus Fan World's magazine 'Bus Focus'. 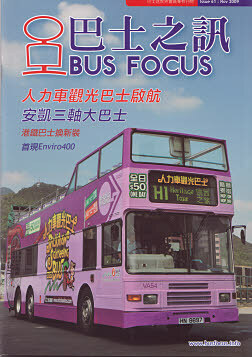 This edition features articles (in Chinese) on the New World First Bus 'Rickshaw Sightseeing Bus', Citybus's 'Citytours' Leyland Olympian, the new Ankai double decker for The Big Bus Company, newly liveried MTR buses, the ex China Light & Power Olympians now with Kinch in the UK, Dave Rogers former Citybus Olympian No. 102 , Skool Buses in Scotland, Lothian Buses and the usual features including details of all fleet additions and withdrawals. 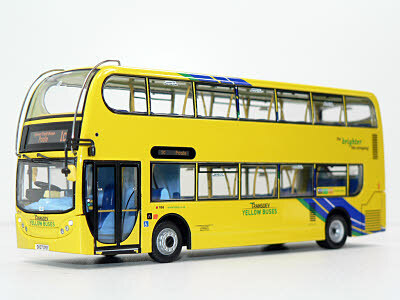 new model buses released and advertisement buses. Regular contributor Donald MacRae has just uploaded photographs from his recent visit to Hong Kong and Taipei to his Fotopic site, which has just passed the 2 million hits milestone - well done! 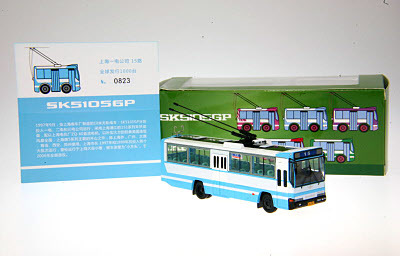 Now available in Hong Kong is the second release of the Shanghai SK5105GP trolleybus from 52Bus (52002B). This version carries a blue and white livery and is on route 15 with registration no. C0571. It is limited to 1,000 pieces and is expected to retail for HK$338. In the absence of clear product codes for the two trolleybuses, I have allocated the first release the code 52002A and the second 52002B. 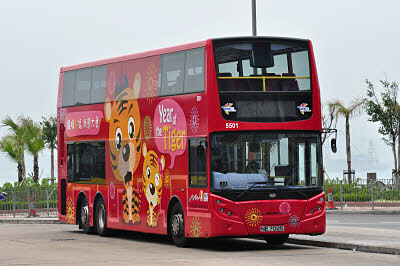 My thanks to Alan Wong for sending me photographs of Kowloon Motor Bus 'Year of the Tiger' liveried Enviro500 ATE104. Further photographs have just been added to the section of the site. Also added to the pages are higher resolution photographs of the recently released Leyland FG lorry from Best Choose. 80M Bus Model Shop, Jotus.com, Network Shuttle, Concorde Hobby Shop, Creative Master Northcord Ltd, Bus Fan World, 312 Model, Hong Kong Model Co., Kowloon Motor Bus, UTFA, Dennis Law, Donald MacRae, Philip Chan, Stephen Cho, Dave Rogers, Edward Yeo, Grant Ng Kwok Kuen, Vincent Chong, Pan Tsang, Kennis Tam, Wei Shen, Dennis Wong, Dennis Tang, Albion Kwok, Alex Wong, Mark Lee, Neo Mak, Patrick Chan, Alan Wong and David Lam. My second task is to apologise to www.3cubian.comfor incorrectly acknowledging their recent photos of the Best Choose Leyland FG lorry.